Arsenal have told Juventus that it will cost them £18million to sign Aaron Ramsey this month, the UK Mirror reports. 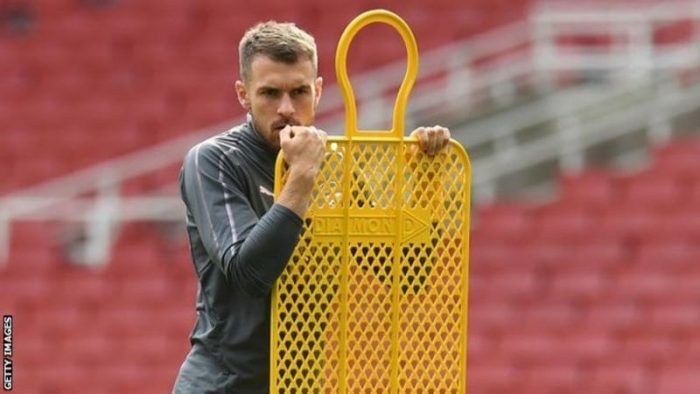 The Gunners are refusing to allow Ramsey to leave on the cheap during the transfer window, even though the midfielder has already agreed to join the Serie A champions when his contract expires at the end of the season. Arsenal boss, Unai Emery, has said there is no money for permanent buys this month only loans, but believes it will leave his squad stretched if he allows the 28-year-old to move to Italy without a replacement midfielder being brought in. And with Juventus pushing to recruit Ramsey now to boost their chances of winning an eighth successive title and lifting the Champions League again, the Premier League side have slapped a high price on the player’s head. Ramsey has spent 11 years at the Emirates, since arriving from Cardiff for £5million.